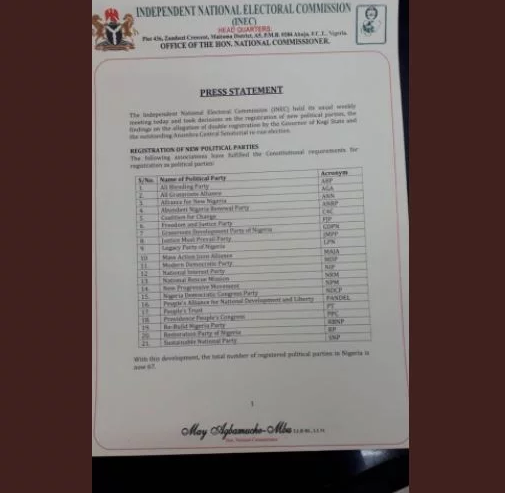 May Agbmuche-Mbu, the National Commissioner & Member, Information and Voter Education Committee of INEC yesterday confirmed the registration of 21 new Political parties. 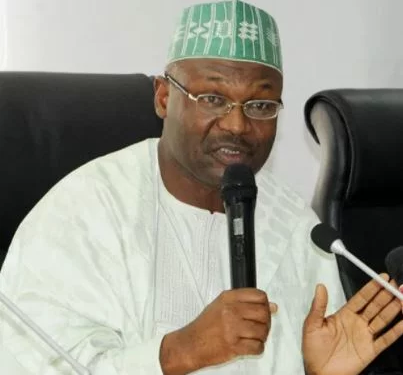 The Independent National Electoral Commission (INEC) announced the decisions on the registration of new political parties at its weekly meeting saying the parties were registered after they fulfilled the requirements provided by the constitution. This brings the total number of parties in the country to 67.